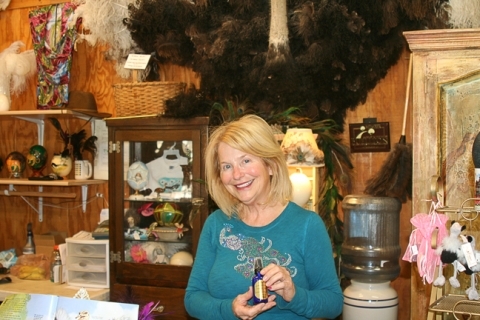 The Santa Ynez Valley is a long way from Africa’s Serengeti Plain. So it’s something of a surprise to see dozens of ostriches racing around a 33-acre spring-green spread along the Santa Ynez River. 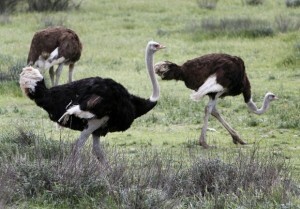 The spindly-legged, long-necked creatures are the big draw at Ostrich Land. The tourist attraction on Highway 246, a mile east of Buellton, offers an opportunity to go eyeball to tennis-ball-size eyeball with one of nature’s strangest, most magnificent birds. There’s a certain incongruity to the bucolic scene. A couple football fields away, cars whiz by enroute to Solvang.